Professional Parents, Stay-At-Home Moms and Dads, and Busy Households with Active Children! 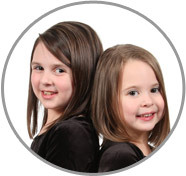 ABC Nanny Source specializes in offering only the most highly qualified childcare providers to families in Maryland. For the average professional parents, the need for having an in-home childcare provider is becoming more of a necessity than ever! Each candidate that we present to you for consideration will be without a doubt one we would invite into our own homes! More often than not, most professional parents do not have the time or the resources required to proactively interview multiple candidates and be able to administer drug testing and background checks in order to find the safest and best suited match for their specific needs. Our counselors here at ABC Nanny Source do all of this and more on a daily basis to make sure we take all of the hard work out for you, and make your hiring process an enjoyable experience! Once you register with the agency, the only thing you have to do is compare the experienced and highly qualified candidates that we present to you and communicate to us who would be the perfect personality match for your family! We do everything else for you! Your Nanny can be the extra help you need to keep your household running smoothly when you are busy with your professional career. 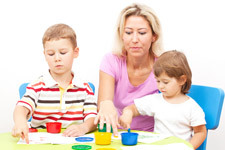 In-home childcare is a wonderful alternative to daycare or after school programs and provides your children with the individual attention they deserve!